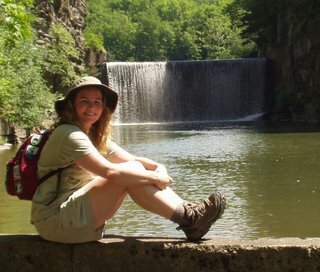 Well, I kept trying to wait until I had a story to tell, but my last couple of hikes were very uneventful. My black eye has faded away. Gorgeous Seattle weather, simple drive to the trailhead, walk, walk, walk, nothing outrageous to note. 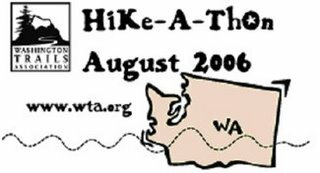 I hiked 45 miles total and I raised $1181.25 for Washington Trails Association! Thanks to everyone who contributed. I was really motivated to get out there and hike those last 5 miles for you guys.